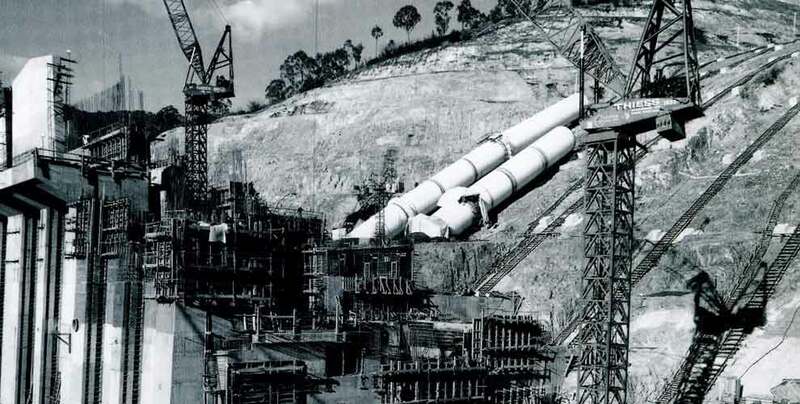 To be able to construct and complete a project never before undertaken in Australia required not only skill, planning and tens of thousands of workers, it also required engineers to be innovative, to find new and better ways of meeting the challenges of building the Scheme. The ingenuity displayed in building the power stations, high dams and drilling tunnels through mountains was, and still is, a wonder to many Australians. 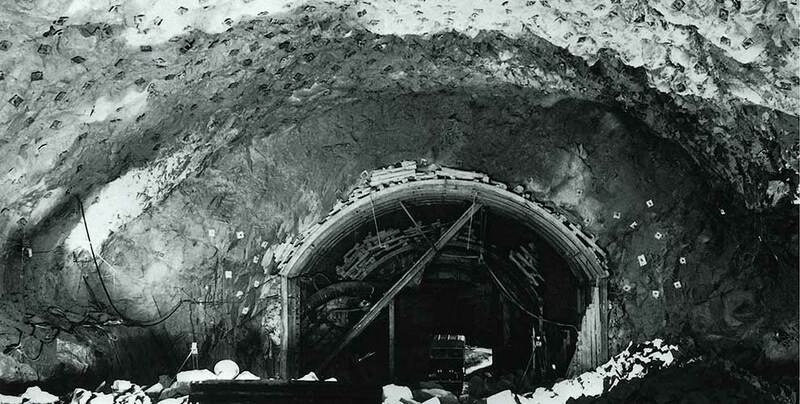 The most significant of the advances in construction was the development of a technique called rockbolting, a safer and cheaper alternative to concrete lining for supporting rock in tunnel walls. An individual rockbolt was usually used to pin a piece of rock to the rock wall behind it. However, a Snowy design team found that by placing rockbolts in a pattern across the roof of the tunnel or power station so one interacted with the other, they created a structural arch. “Snowcom” was Australia’s first transistorised computer and one of the first dozen or so computers in the world. Designed and built by the University of Sydney for the Authority to use for engineering and design calculations, it was delivered to the Authority’s scientific offices in August 1960. Snowcom’s design was based around a drum memory, which had a memory equivalent to 8000 bytes, holding 2048 words and there was no disk. By using what were then advanced computer-based techniques both in the commercial and engineering fields, the Scheme was completed on time and within budget. Snowcom was used until 1967 and the Authority was a leader in its field in the use of this technology on a project of this kind. Tumut 3 Power Station was the first major pump-storage scheme in Australia. Pump-storage schemes use off-peak energy to pump water to a reservoir on a higher level. This water then passes through turbines to generate electricity when prices are higher. Snowy Hydro’s approach to engineering excellence has continued in the ongoing operation and maintenance of the Scheme, ensuring the reliability and integrity of the Scheme for hundreds of years to come.